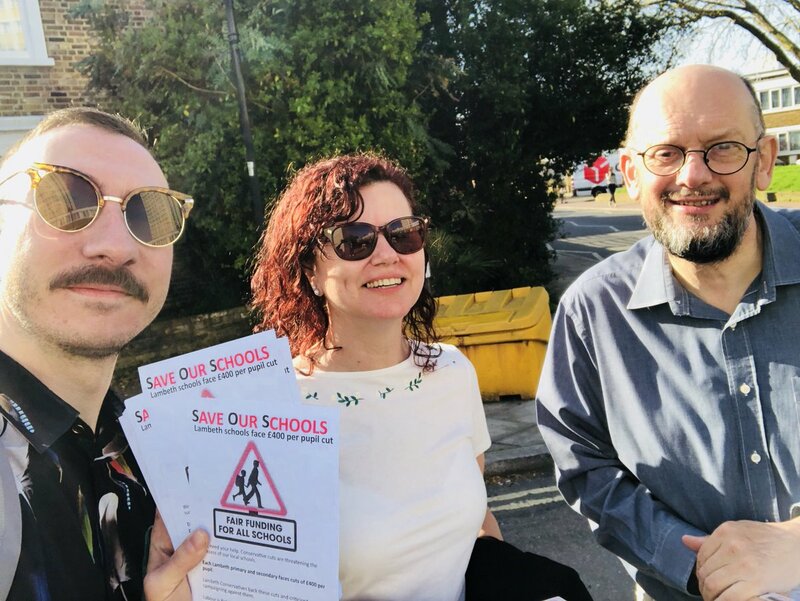 Lambeth Labour candidates were out at schools across Lambeth this morning (20th April), speaking to local parents about our campaign against Tory cuts to local schools and about our commitment to tacking action to clean up Lambeth’s air. 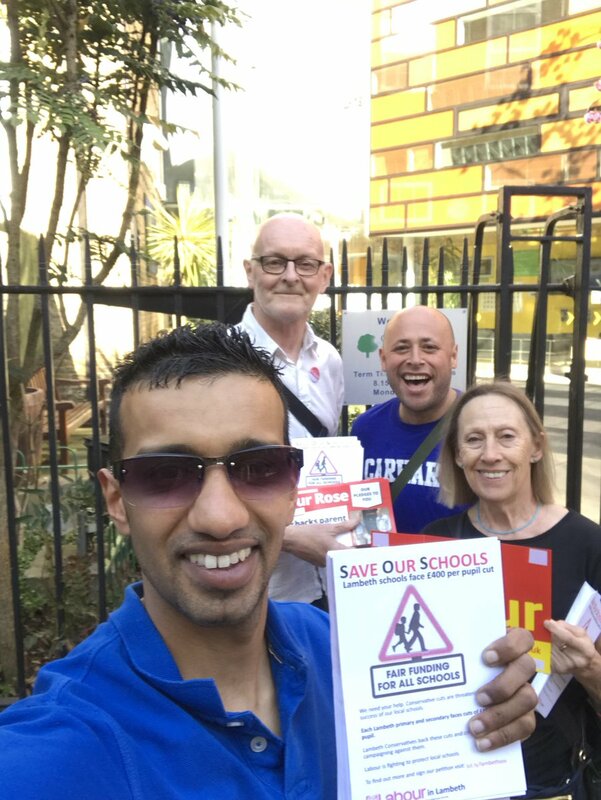 Many parents are deeply worried about the Conservative cuts that are threatening the success of our local schools. 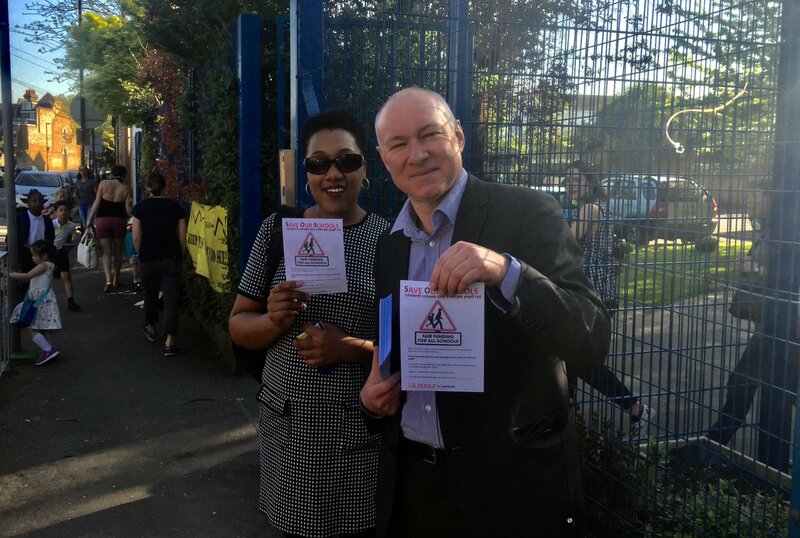 Each Lambeth primary and secondary school faces cuts of £400 per pupil. Lambeth Conservatives back these cuts and criticised parents campaigning against them. 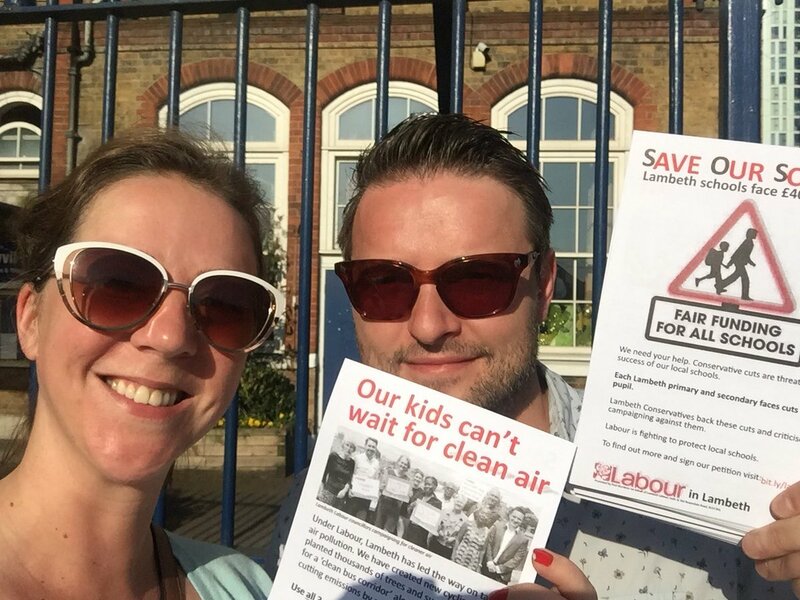 Under Labour, Lambeth has led the way on tackling air pollution. 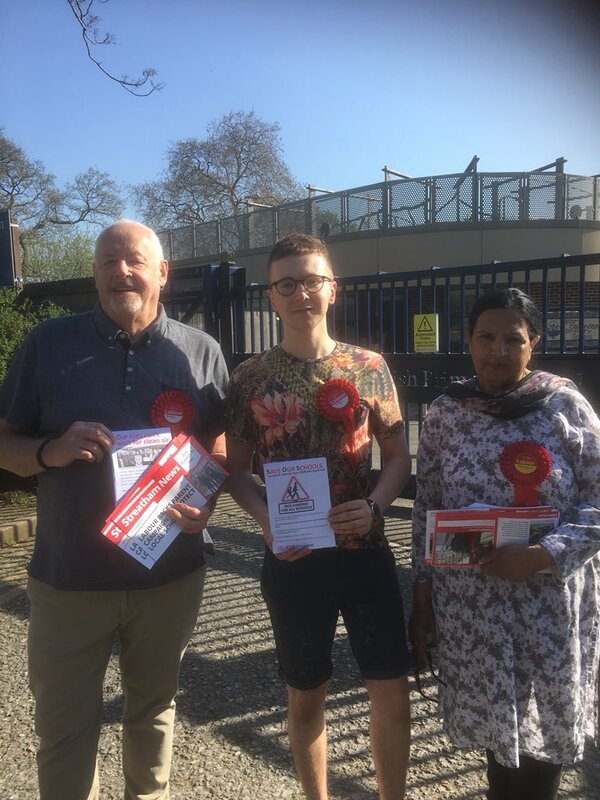 We successfully lobbied for a ‘clean bus corridor’ through Brixton and Streatham, which could cut emissions by an estimated 84%.